Author(s) Breckon Breckon, Donald J. Park College, Parkville, MO. Text is designed to facilitate self-directed management development. 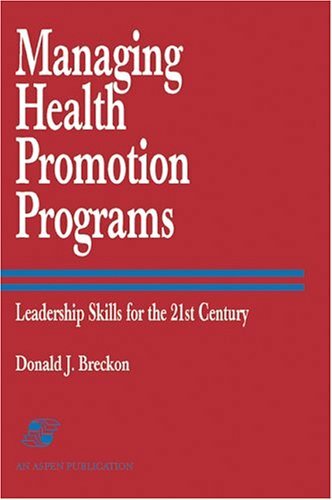 Offers case studies suitable for undergraduate study and includes such topics as the evolution of health education, health promotion, and wellness programs. the evolution of management and leadership styles. and macromanagment issues. Softcover.